There are perks of having your own business. You can set up your own schedule. This is probably why many people dream to be a businessman one day. Most people have 2 dreams in their life - one is to own a house and the other one is to be a business owner. There are perks of having your own business. You don't have to report to anyone else. You won't be answerable to anybody. You can set up your own schedule. This is probably why many people dream to be a businessman one day. However, not all the people have the talent to become a successful business owner in life. It takes a lot of hard work, patience, and other factors to set up a business in the country. Read along to know about 5 things that can actually help you set up and run a small business successfully. Here are the 5 things which you need to do to establish small business without meeting a financial disaster. 1. Gather money to start your business: You need money to set up your business. You need to invest a lump sum amount for your business. In short, you need capital. However, keep it in mind that money can't assure success. Rather, if you invest too much money without proper calculation, then your business is bound to fail. Calculate the amount you need to start your business. Evaluate the amount you need for various business expenses. 2. Create a business plan: Investors would not want to lend you money without seeing a proper business plan. They would want to know that you can set up and manage a business. Chalk out a business plan and show it to the potential investors. 3. Devote time to your business: You have to strike a balance between your office (where you work during the day) and your small business. You can't quit your job just now. On the other hand you have to devote time to your side business also. You need to give time to your customers and vendors. After all, they are the ones who help you keep your business afloat. You need to take care of their needs. You need to complete all the assignments as soon as possible. Otherwise, they'll leave you and if that happens, your dream of becoming a small businessman will soon come to an end. 4. Don't expect quick results: You need to have patience. You won't make profits initially. You may end up having less money even after a fantastic day. Don't get disheartened. Your business will progress slowly but steadily. 5. Don't get discouraged by mistakes: People learn through mistakes. So, don't get scared if you make mistakes in the initial phase of the business. You may lose some money but you'll gain vast knowledge. You need to do a bit of research before venturing into the small business arena. For instance, you need to decide upon the product you're going to sell. You have to think about the USP (unique selling point) of the product and then determine your target audience. Thereafter, you'll have to think naming company about marketing the product. Decide if you want to sell the product online or offline. Create a website for business with good domain name. Get your business licensed in your state. 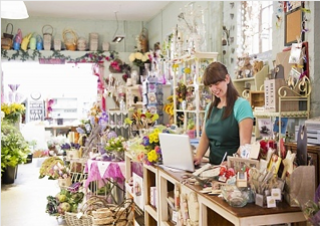 Purchase an insurance policy for your business if required.